One of the things I love about being some place tropical is how even on a city street you will come across a Durian tree or Orange tree. 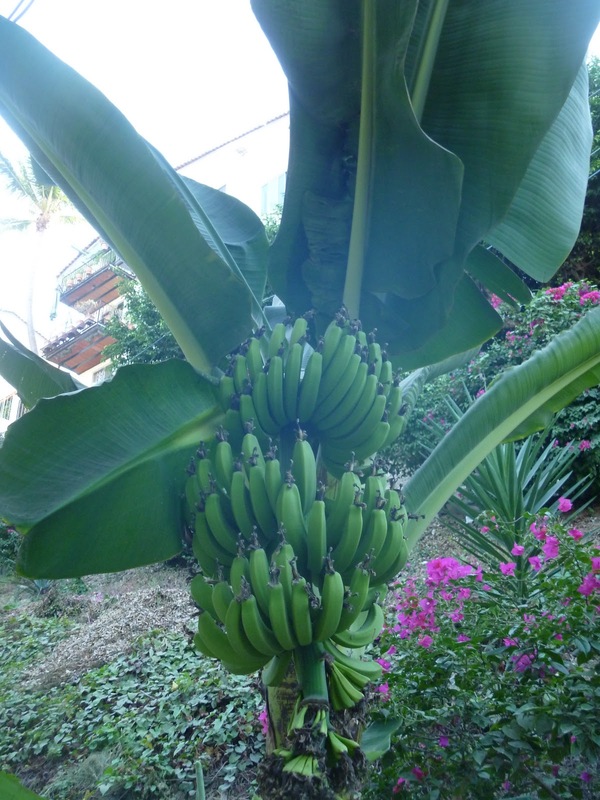 Yesterday I had just left my apartment for the first time and was walking down a steep set of stars when I came upon a great big bunch of green bananas. Perfect, I think and get out my camera for a little photo shoot. It took me a while to realize that the graffiti covered wall was ruining the tropical paradise vibe I was going for. So just as I am about to turn around and shoot them from a different point if view I look more closely at the wall. 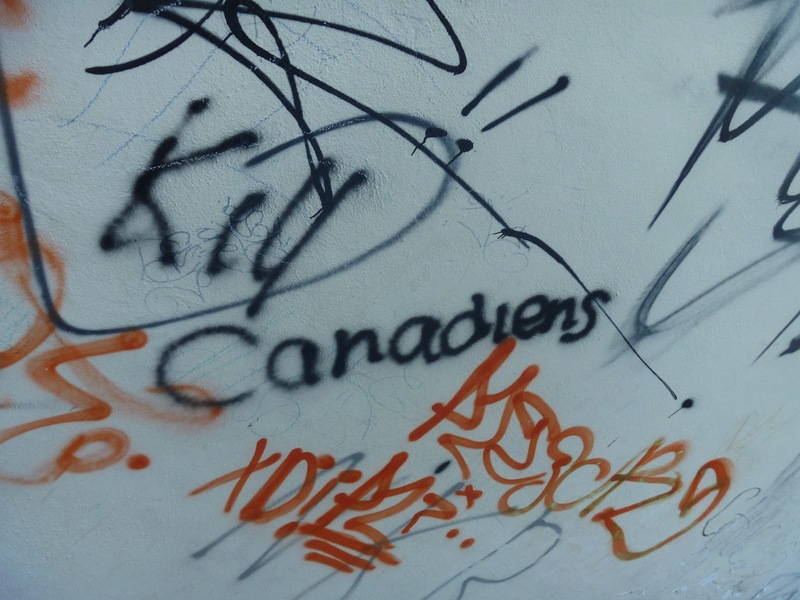 Nice: Kill Canadiens. 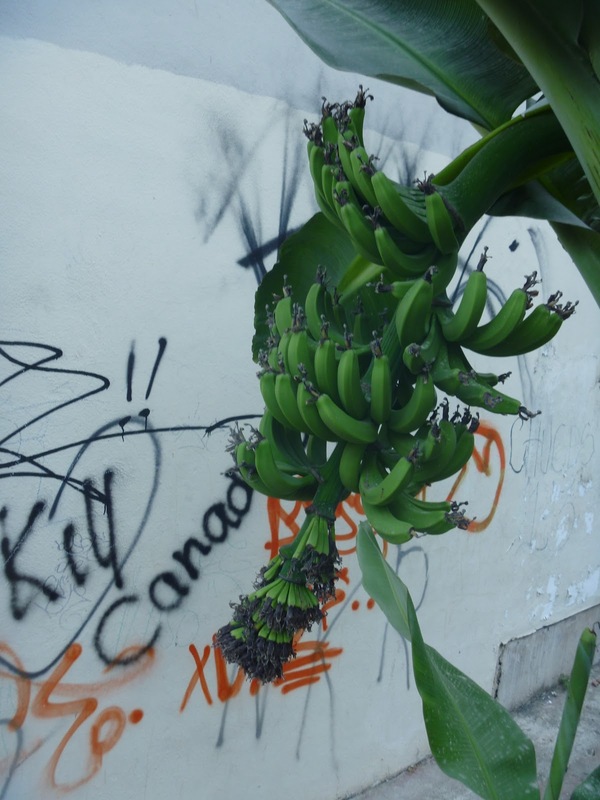 It’s always funny to me that where ever you travel in the world the people who hate you and are most concerned with issue pertaining to preserving their language and culture make sure to write the graffiti they want you to read in the language you will understand. And usually with a few, often times funny, spelling mistakes. Yanquees Go Home I saw once in Spain. And lots of Anglos go home type stuff in English in Montreal (which is against the law in Quebec – English signs, but I guess OK if you are protesting the damn English!). Needless to say that I know longer take this stairway. Speaking of Banana’s, Colleen’s Breakfast place which used to be at the Swedes Restaurant moved then got displaced and now is homeless! She makes the most amazing Banana Bread French toast, totally over the top and not at all what you should be eating if you want to be seen on the beach, but just the trick if you are hung over 😉 I hope she finds a place before Neil gets here as he loves her cinnamon bun french toast. 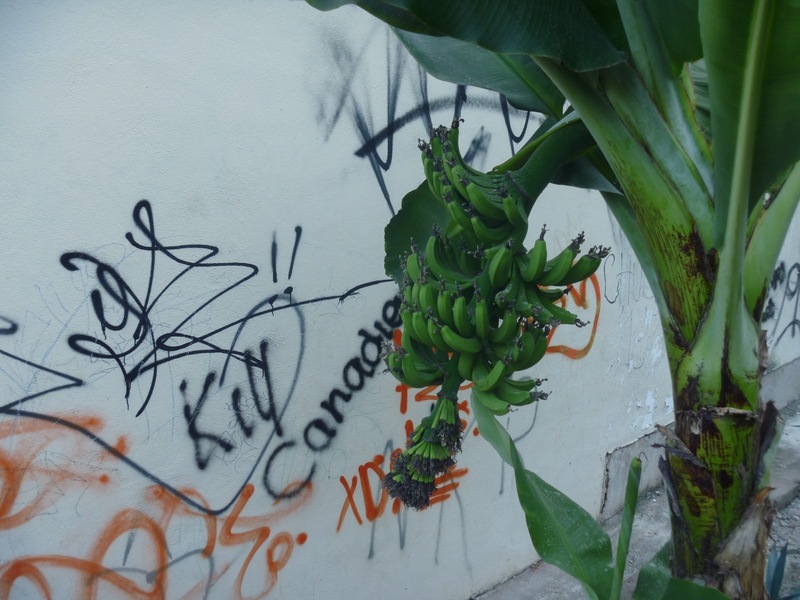 This entry was posted in Travel and tagged graffiti, Puerto Vallarta. Bookmark the permalink.